At this moment, I am stalking the USPS tracking site. I have an order of design proofs arriving any day now (tracking says Saturday arrival, but it may arrive today!) I have three yards in that order, with over 80 designs that will be available for purchase as soon as I double check them, make any tweaks, and mark them for sale on the site. 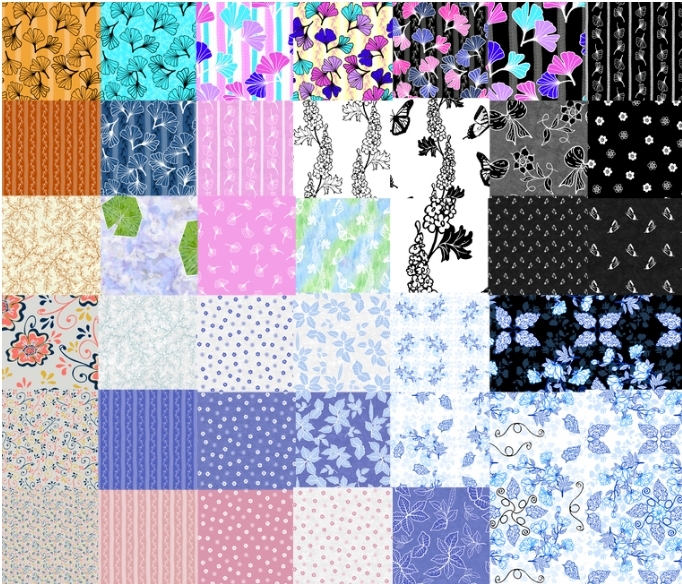 Spoonflower requires you to purchase a proof of any design you wish to sell. 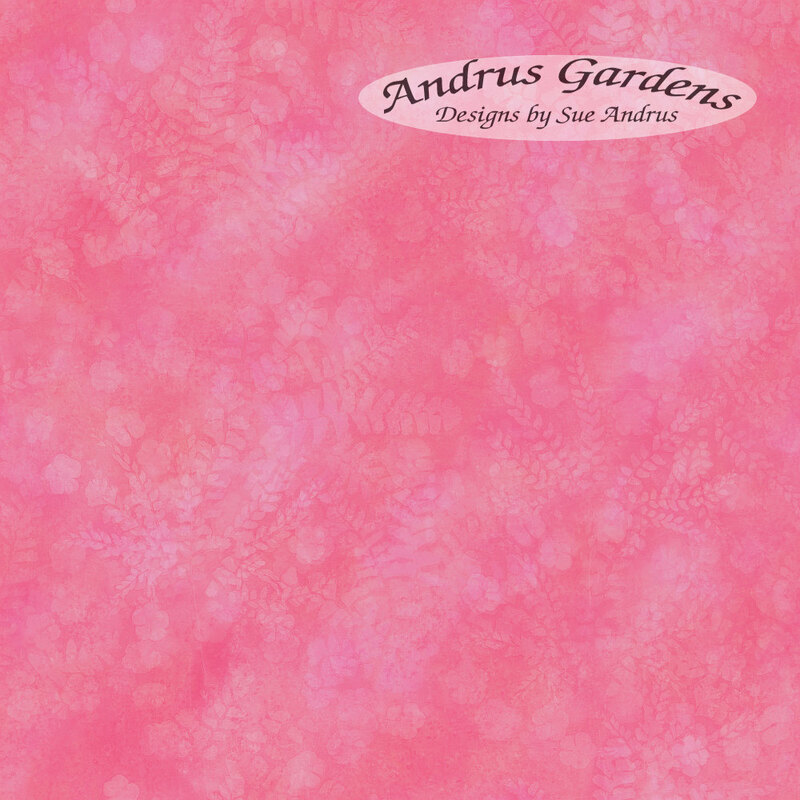 Their Fill-A-Yard option is perfect for proofing up to 42 designs on one yard. 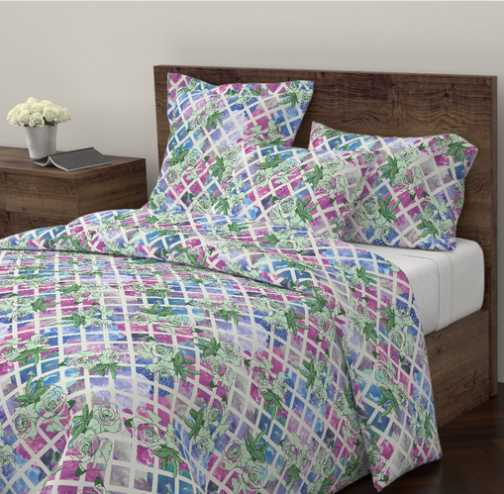 Above, is a yard with 39 different designs on it in 6″ squares. I wanted to see larger pieces of a few of my Chinoiserie inspired ones, so did 2 squares of each of those. Some of these have been waiting quite a while to be proofed. 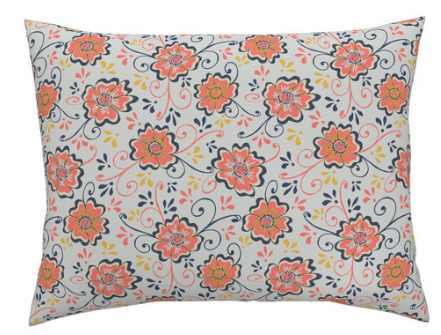 As soon as the order of proofs is shipped, Spoonflower allows them to be marked for sale. I usually wait until I actually see them before clicking the boxes, but with many on this yard, I am making some available before I actually see them. Colors are the main thing that surprise me… they don’t always look the same printed as they do on the screen. 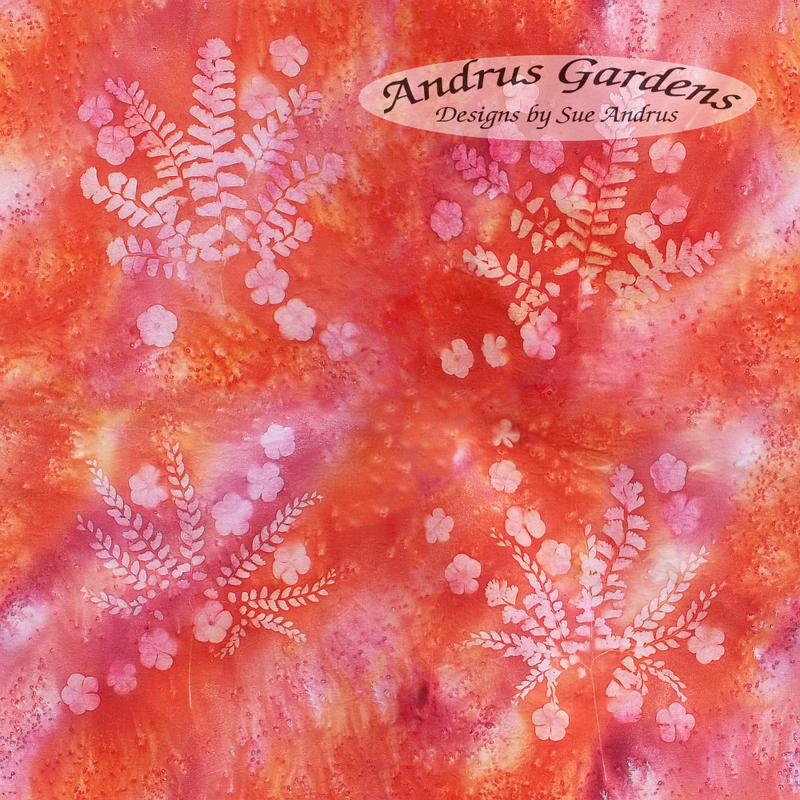 To help me know how my colors actually look, I have printed color palettes of some of my most used colors, so I know how they look on fabric. 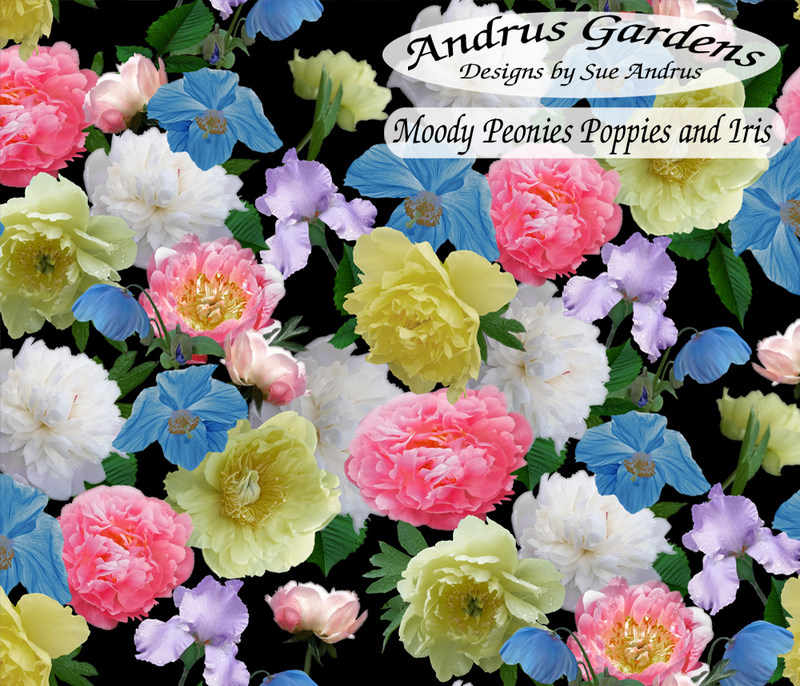 I have my favorite shades of blues, pinks, and more… a lot have been pulled from colors of flowers I have used in my designs. Above, is my Black and Whites collection. 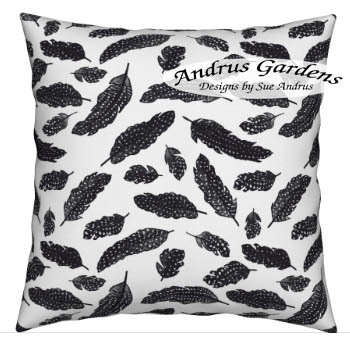 I have been working on organizing my designs in collections to make it easier for customers to find things easier. All of the ones in the above photo can now be purchased. Each design is 6″ wide, to see the scale. Click on the photo caption to check them out in my shop. While being sure tags, descriptions and more are done for each design, I’m inspired to play with new versions in different colors, or orientation of the images. 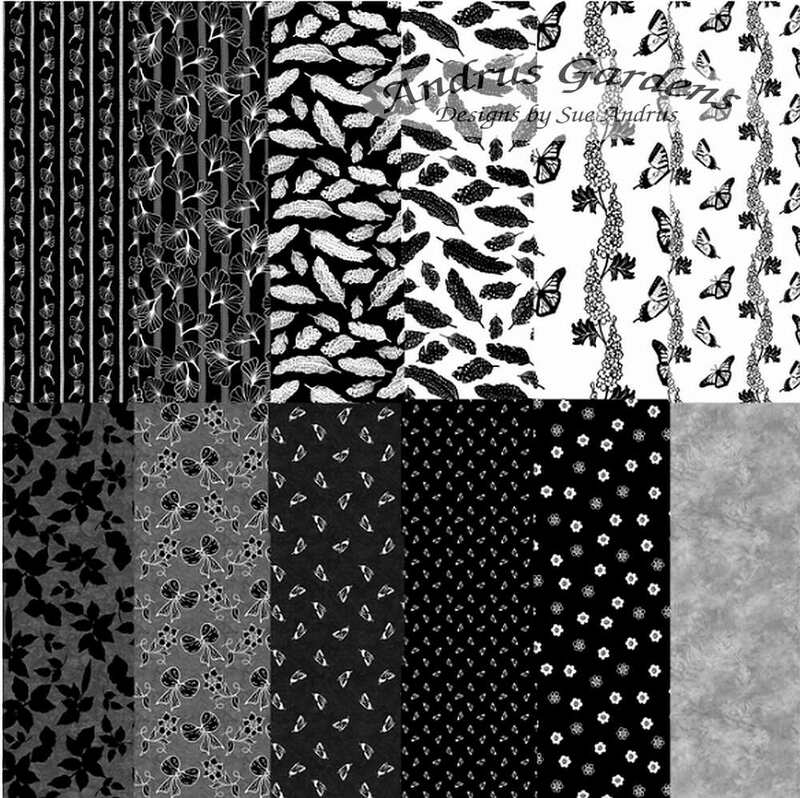 I hadn’t done a butterfly print in black on white… As soon as I have everything proofed, I end up with another batch in waiting. 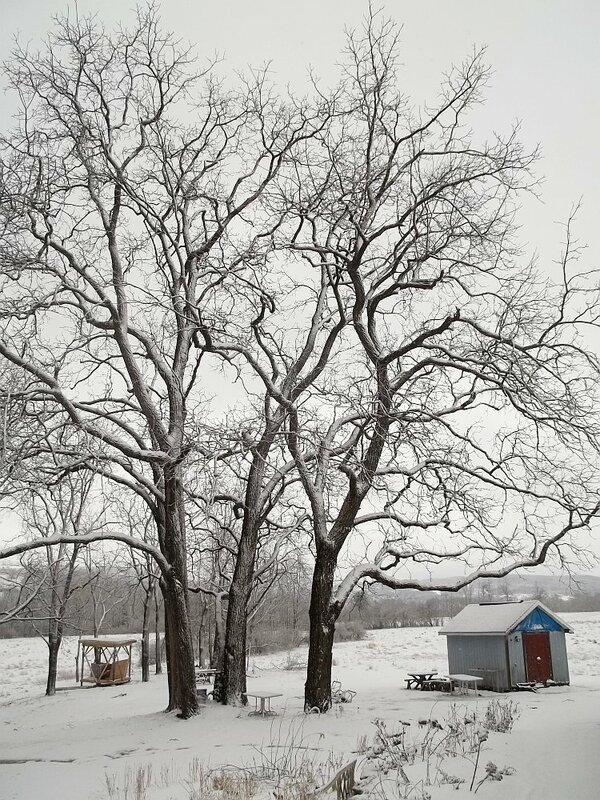 Above, is a yard with some of my newly made panels. I had the four in the left corner a bit smaller than they actually will be available so I could proof more in one yard. 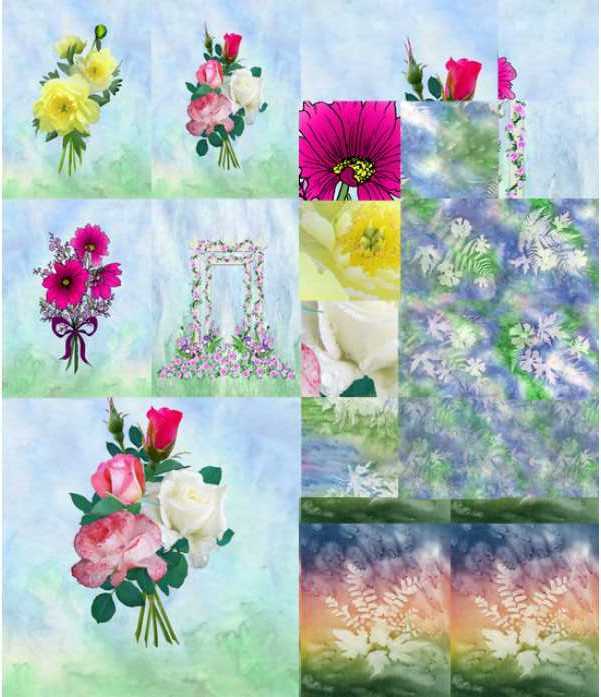 The bouquets will be available in both full yard and fat quarter panels. Garden Arbor will only be available in the fat quarter size to start… There are some squares with little chunks of each panel so that I can see how things print out at the large sizes. They look great on the computer when I zoom in, but printed on fabric can look different. The Peonies and Roses are made from actual photos I took in my gardens or other gardens. The Cosmos bouquet started as a sketch that I colored and arranged in Photoshop (the sketch is shown in the previous post). 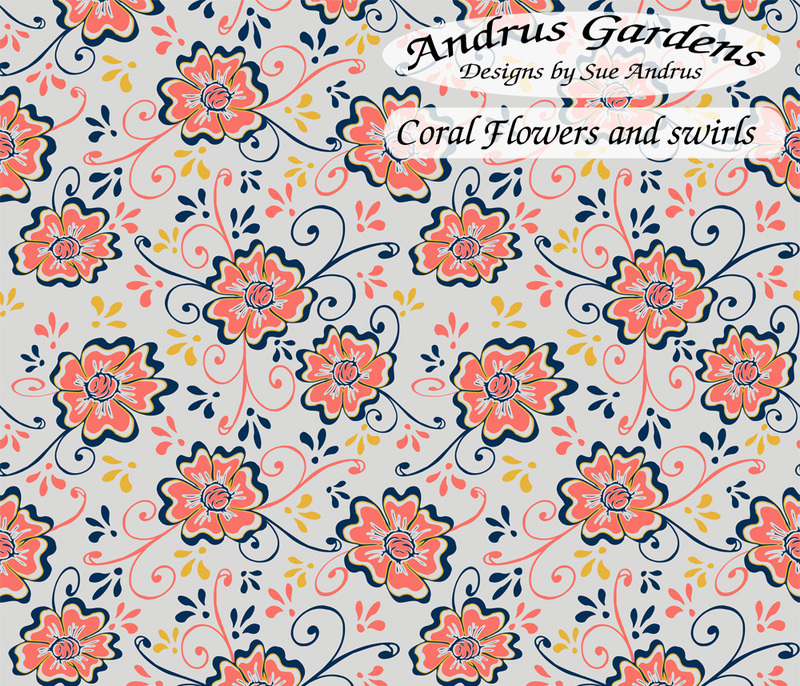 Garden Arbor is a digital reproduction-ish of one of my favorite art quilts. Instead of flowers from fabrics, I used flowers from my photos. The sunprints have been fun to play with, too… I can’t wait to see how the panels printed! 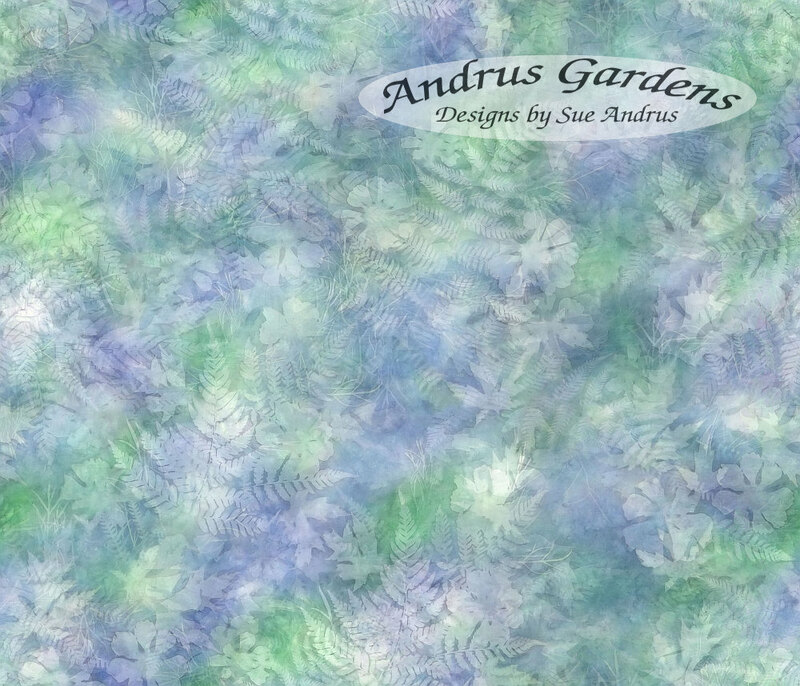 My designs are also available on Wallpaper or Gift Wrap in addition to many types of fabrics. 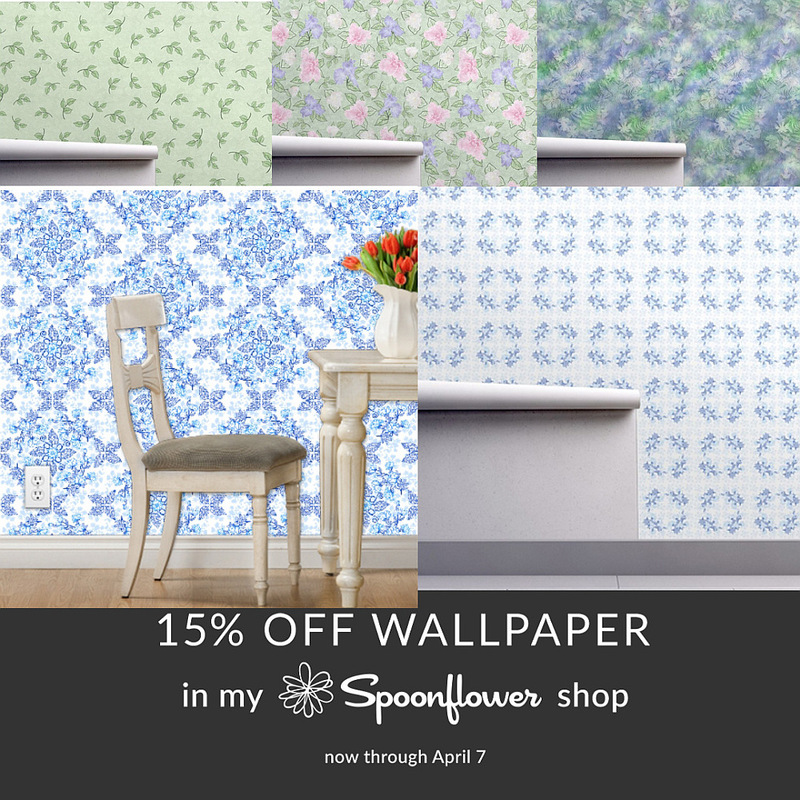 Right now, the wallpaper is on sale… hurry, the sale ends tomorrow, April 7. A bit of a long stretch since last post again… I ended up in NJ for nearly a month finding out that a mother never forgets how to care for newborns no matter the age, but with that age, I found that it’s REALLY tiring. I was helping care for a set of twins- Great grandbabies (can’t share more than that)… a new thing for me, and one was a girl! 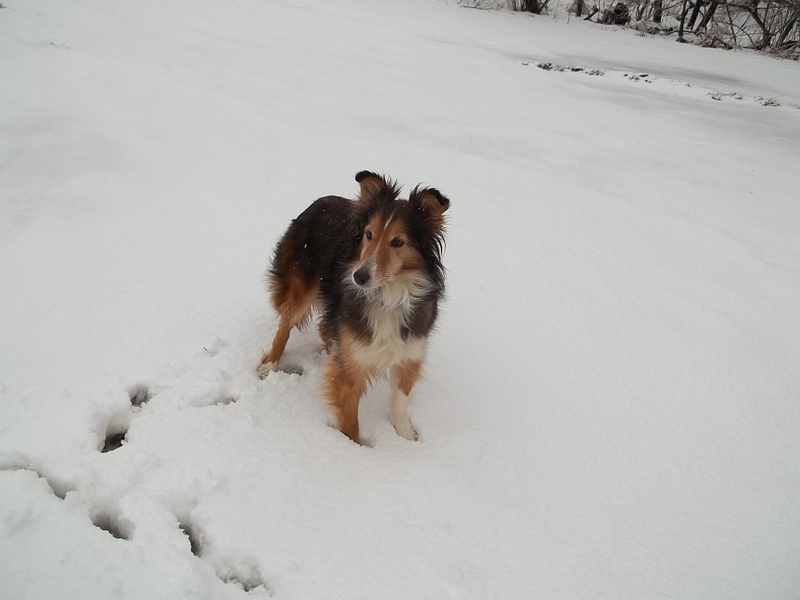 I had never changed a newborn girl’s diaper… I had all boys and there are more grandsons than daughters. 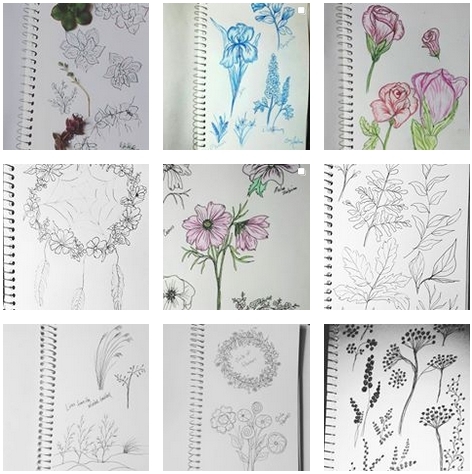 I was participating in an Instagram sketchbook challenge during February, and did keep up for the first 17 days. 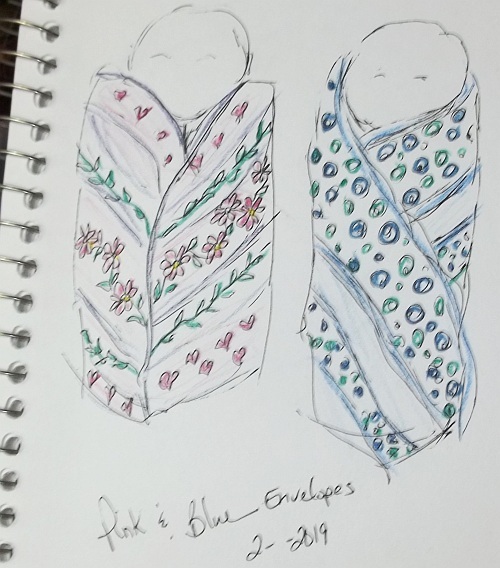 The 18th day, the prompt was envelopes, which I had no idea what to sketch, until watching the twins swaddled next to each other…. in their little “envelopes”. This is the last sketch I did due to total lack of sleep and hands full with the little ones. Since returning home, and after catching up on sleep, I began again with playing in Photoshop. 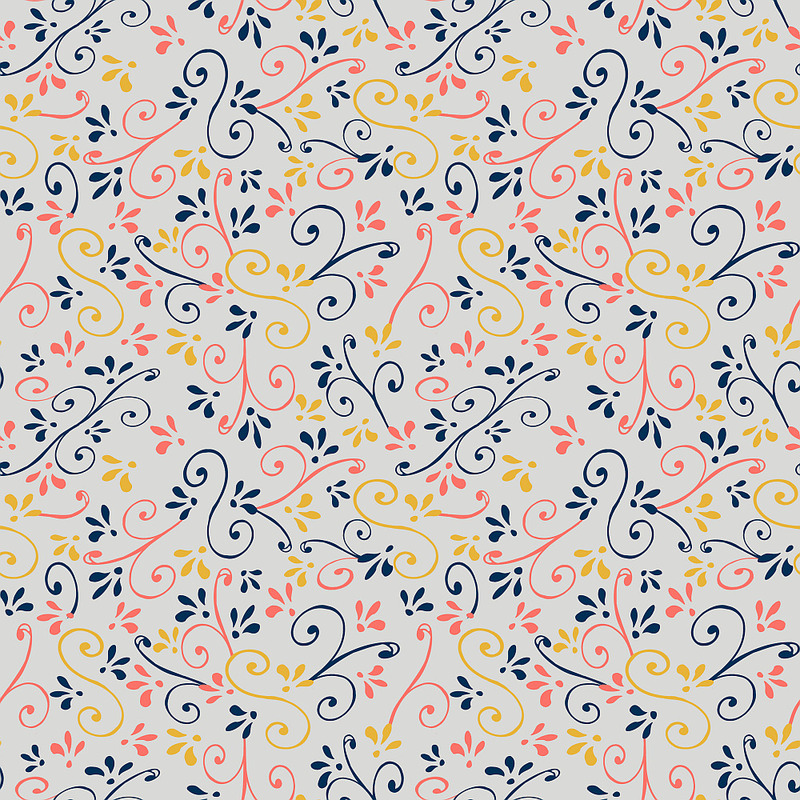 I did manage to keep up with a few more Spoonflower challenges while I was away, and once home… there were three in a row that fit in with “my” thing. 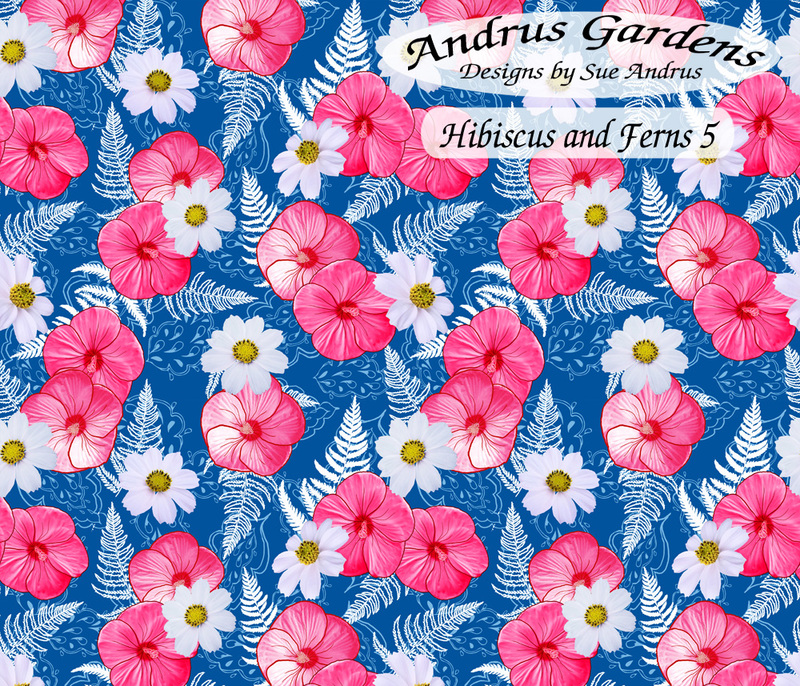 Hibiscus and Ferns… for Bohemian Paradise… A later version than the one I entered, due to lack of time, but very similar. 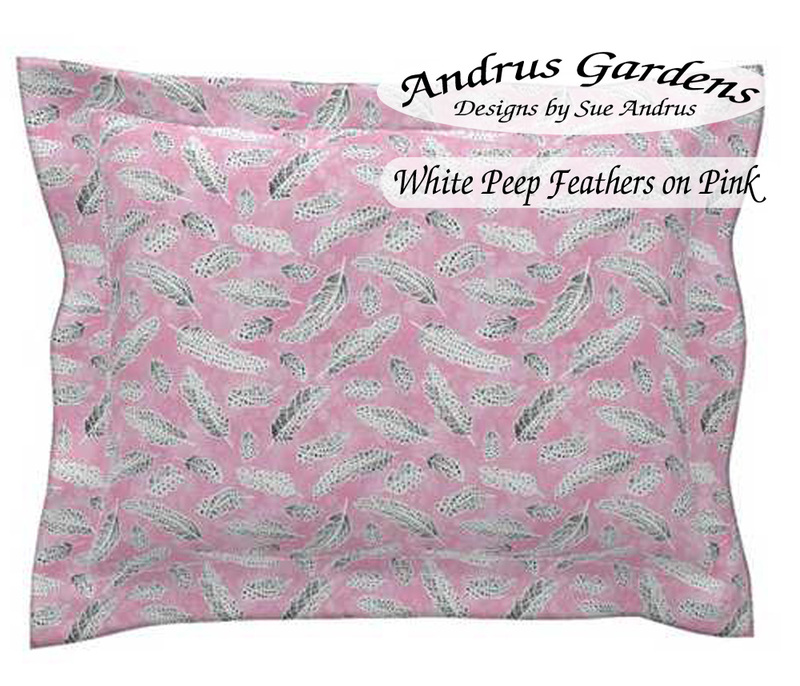 A pillow mock-up with Peep Feathers on the wind, done for the Feathers Challenge. I did the last two- Blue Flower Show Trellis, and Peep Feathers after home. Peep Feathers used sketches I did during the challenge of a few feathers with photos of some of my Peep’s (Guinea) feathers. 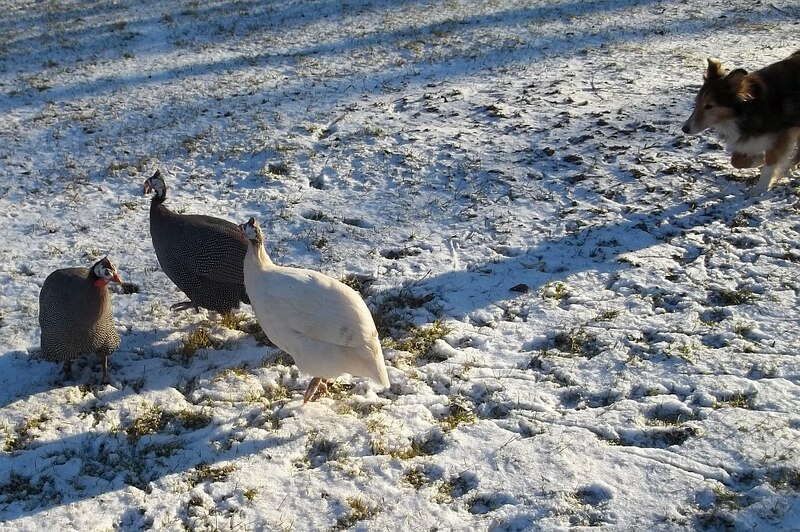 I debated whether I would leave the feathers stark black and white or add color. I left it black and white for the entry. After, I did some playing with different versions with and without color. Below is one of the first versions- feather color inverted, placed over a background of one of my sunprinted fabric images that I manipulated. Playing with the image of the sunprint, started me doing more with other prints I have photos of. I found I could end up with interesting tone on tone designs by duplicating the images, turning them, offsetting then and stacking them with various opacities… fun to see what happens. Layers done, color changed a bit more to make this soft raspberry version. 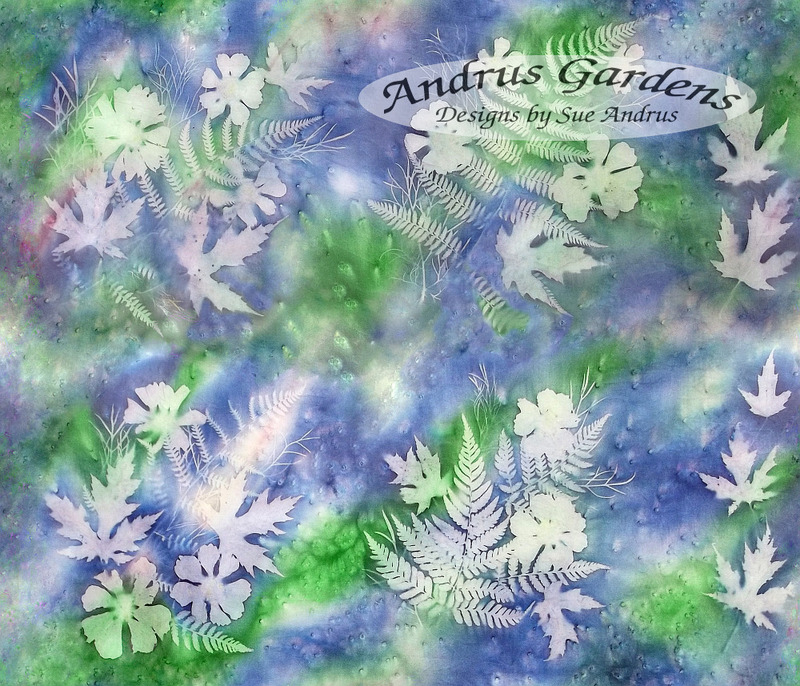 Even though i am not able to do the actual painting right now, it is great to be able to take photos of some of my favorite prints and turn them into some pretty fabrics or patterns to be used on various products. 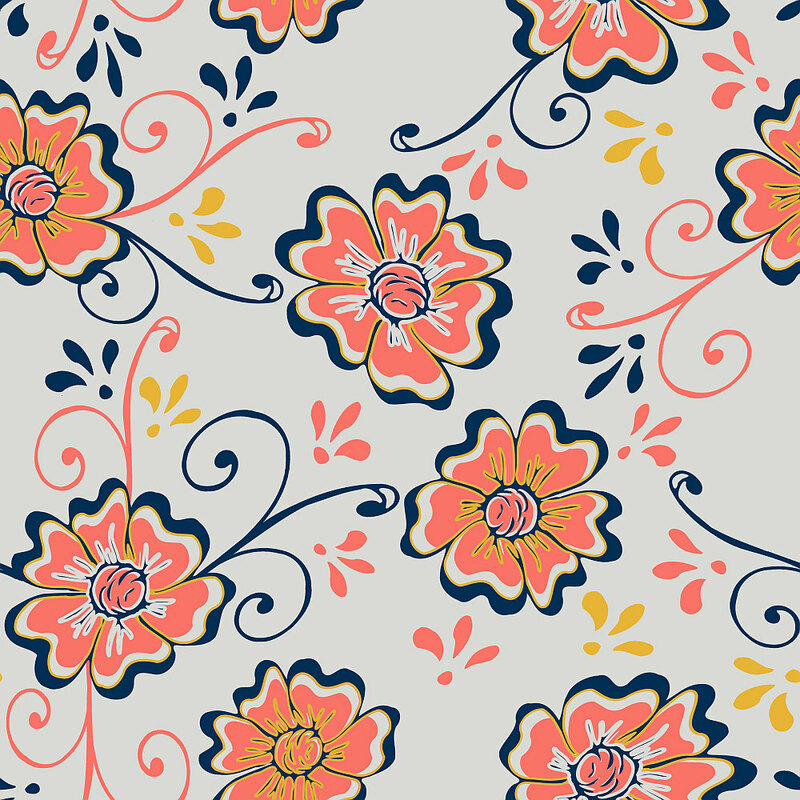 A new batch of proofs has been ordered from Spoonflower and I hope to soon announce the availability of them for purchase.